Back to nails, and back to Halloween collections today with an utterly stunning trio from Moonstone Nail Polish! You may have seen me nerding out over Caitlin’s Potter themed polishes before and I can’t guarantee there won’t be nerding out again today. The Unforgivable trio is inspired by the three unforgivable curses of the Potterverse. Powerful and nothing short of pure evil, the use of an unforgivable curse will land you in Azkaban faster than you can say "mischief managed". I can guarantee your utmost safety from the effects of the curses while using these polishes however, so let's take a look! The Imperius Curse allows a wizard or witch to exert total control over a person. It's like if hypnosis was a real and dangerous thing - at best, you might end up doing this, but usually it's done with far more evil intentions. 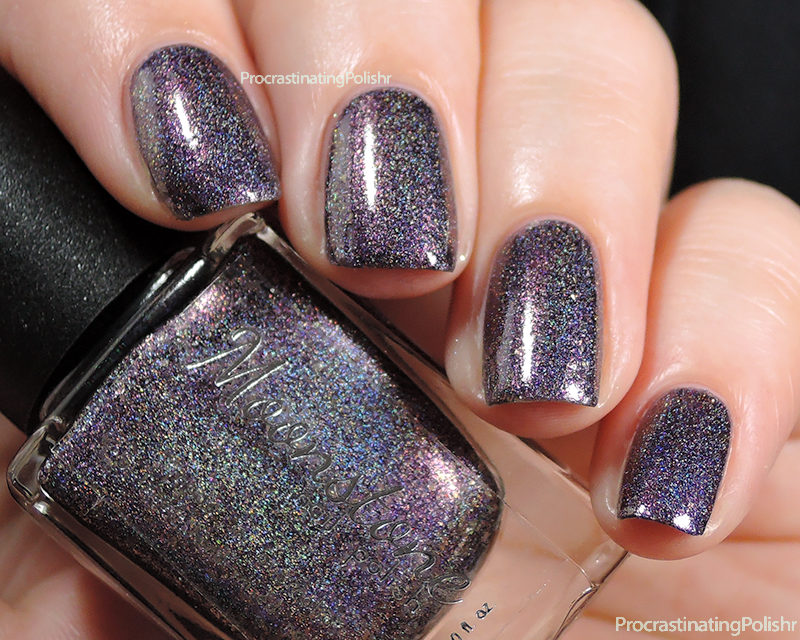 Control is a highly pigmented deep blurple linear holo with scattered micro flakes. Full even coverage is achieved in just two coats and the formula is just stunning. 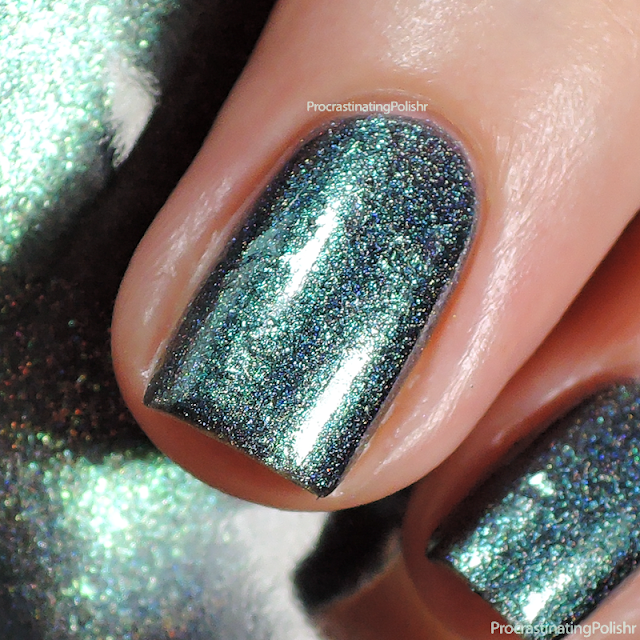 Plus check out that holo! I take all my photos at night, in a lightbox - notoriously bad conditions for capturing holos well - and it's still vivid and glowing! The Killing Curse - perhaps the most notorious of the unforgivable curses - will cause immediate death. Unless you are Harry Potter of course, the only known survivor of the Killing Curse. Fun fact: Avada Kedavra is an ancient Aramaic spell intended to cure illnesses, and was the origin of the word 'abracadabra'! Murder is a complex dark green linear holo with an abundance of micro flakes which sometimes give a hint of purple and gold duochrome-style bends. Again a stunning formula, two smooth coats for perfect opacity. I do love my greens, and this one definitely tamed my inner holo grinch. 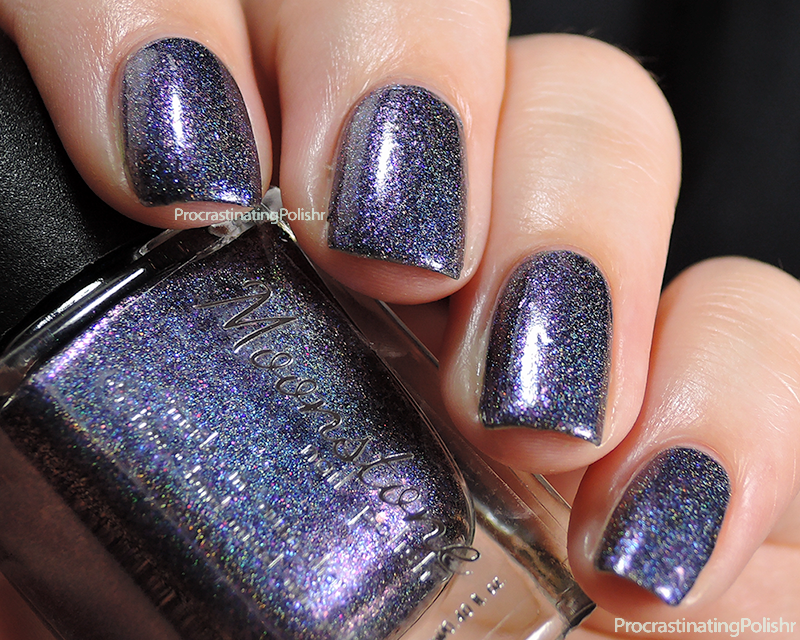 Torture in polish form is nothing short of breathtaking. I initially had reservations about a trio containing two purples, but after wearing both I don't think I'd want to be without either. Torture is still dark and rich but flashes bright fuchsia, green and orange to really grab your attention. At the risk of sounding like a broken record, this is again a two coat wonder with a fabulous formula. If dark complex colours are your thing then you do not want to miss out on this trio! If you're not in Australia it will be difficult to get your hands on these, as increased postal monitoring on international parcels means polish cannot be shipped internationally. If you just can't live without them, maybe ask nicely over at Ella Ann Cosmetics, or check in with your favourite local stockist if you want to try and get your hands on these outside of Australia!